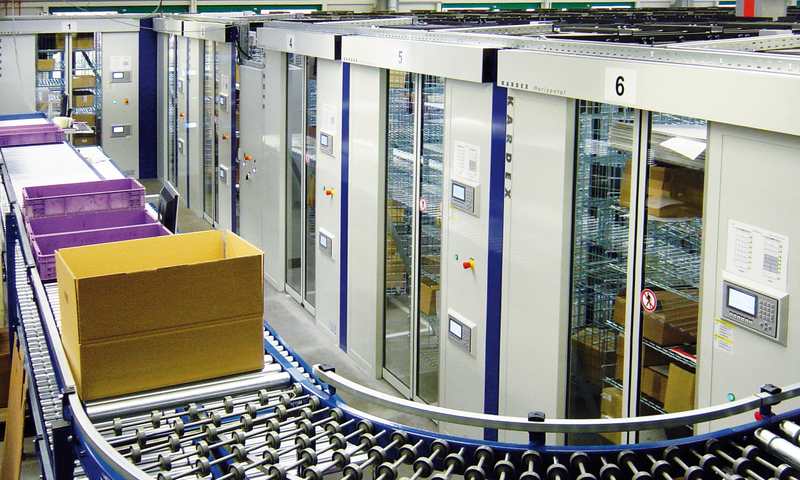 The Kardex Horizontal Carousel is the ultimate "goods to operator" system. 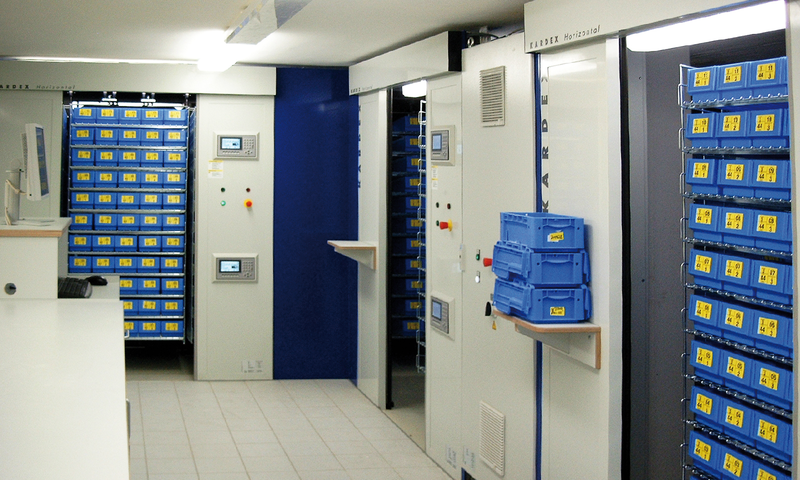 The operator has a number of shelving systems picking at the same time, delivering in parallel to a pickzone at very high speed. The operator of the carousel simply stands in front to receive the goods and pack to the appropriate order. 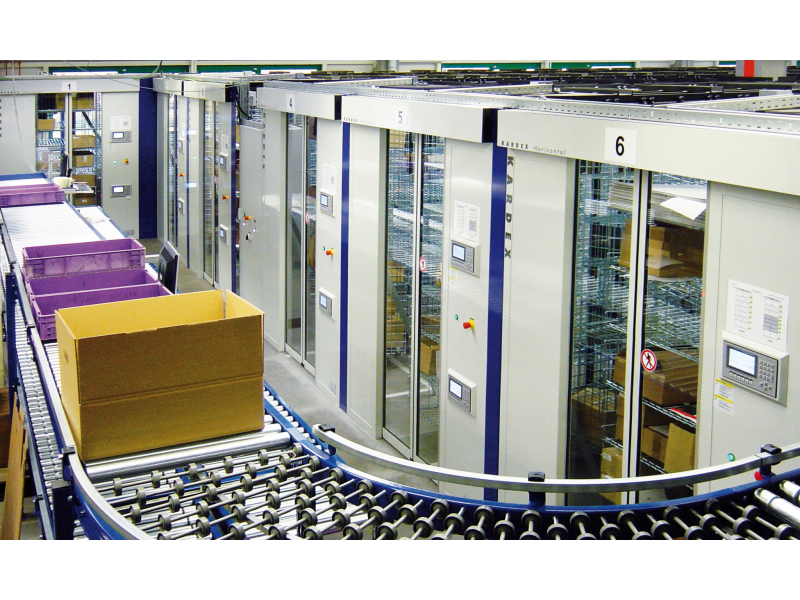 Horizontal carousels save a tremendous amount of time and energy when compared to traditional methods of rack or shelving type storage and deliver an excellent Return on Investment (ROI). 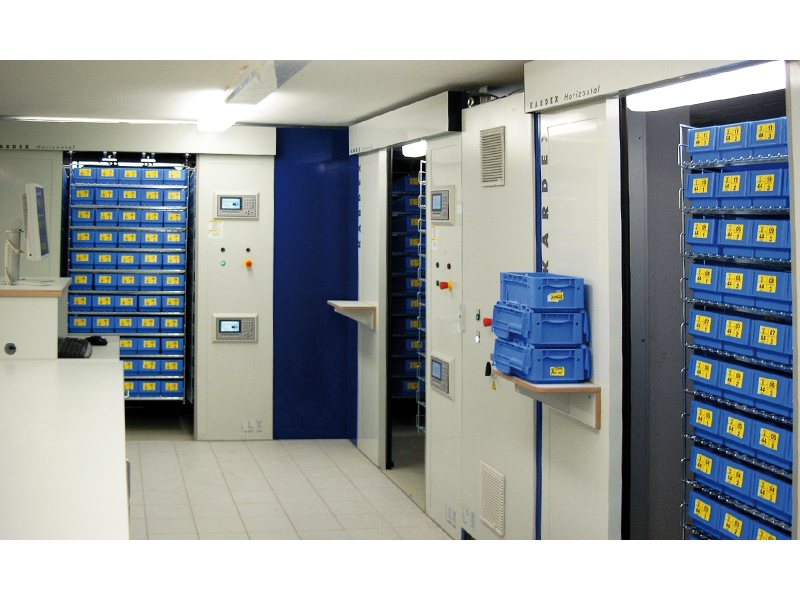 In addition to the speed of pick, accuracy of pick is guaranteed as operators are guided by pick to light systems which ensure almost 100% accuracy.